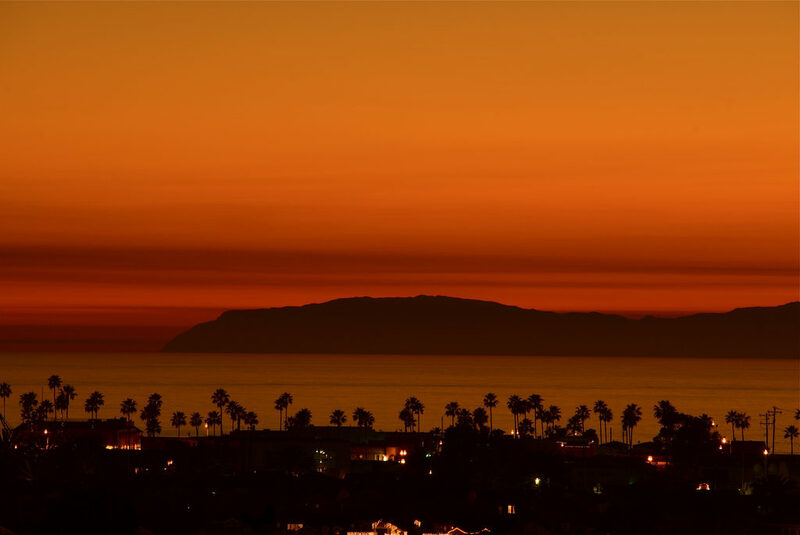 Catalina Island. It’s hard to believe this small island is just 22 miles off the southern California coast. With only two ways to access its white, sandy shores—by helicopter and boat—upon arrival, it feels as if you’ve landed on some remote tropical island. 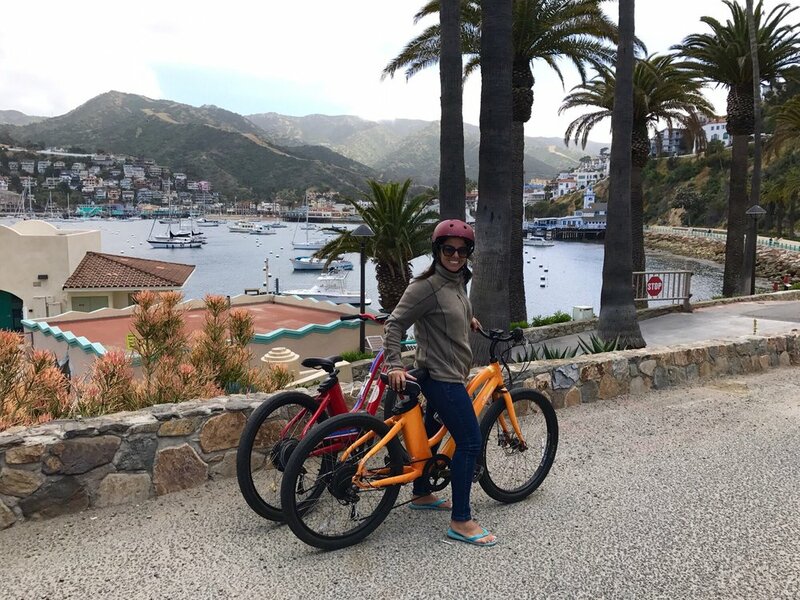 If you are looking for a magical destination for your next girl’s getaway, Catalina Island is packed with opportunities for both adventure and deep relaxation. And, if you live on or near the west coast— or are currently in the snow-entrenched Pacific Northwest—you are in a prime position for a quick island escape that doesn’t require a passport or spending a whole day jumping from plane to plane. 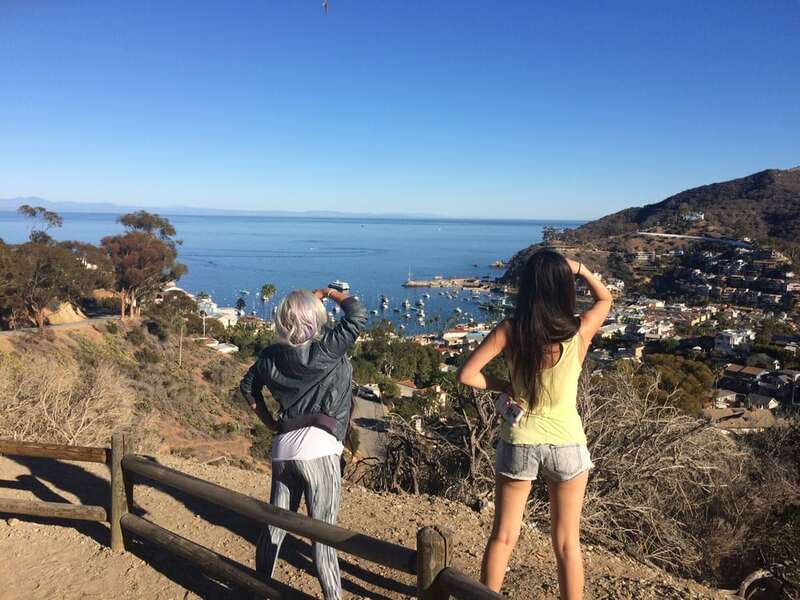 Say goodbye to the winter blues, pack your bags (don’t forget your sunscreen and swimsuits) and grab the girls; we’ve put together a guide to Catalina Island that will take your girlfriend’s getaway to the next level. For the first leg of your journey (if you aren’t already in the SoCal area), the airport in Long Beach, California, is the closest to Catalina, though flying into LAX is also an option. From Long Beach, you can take Catalina Express and enjoy an hour-long, scenic cruise across the Pacific to the town of Avalon on Catalina Island. Tickets start at $36 for a round trip, but you can upgrade to a more comfortable seat in the Commodore’s or Captain’s lounge, where commuters also enjoy a cocktail and snack delivered to their seat. 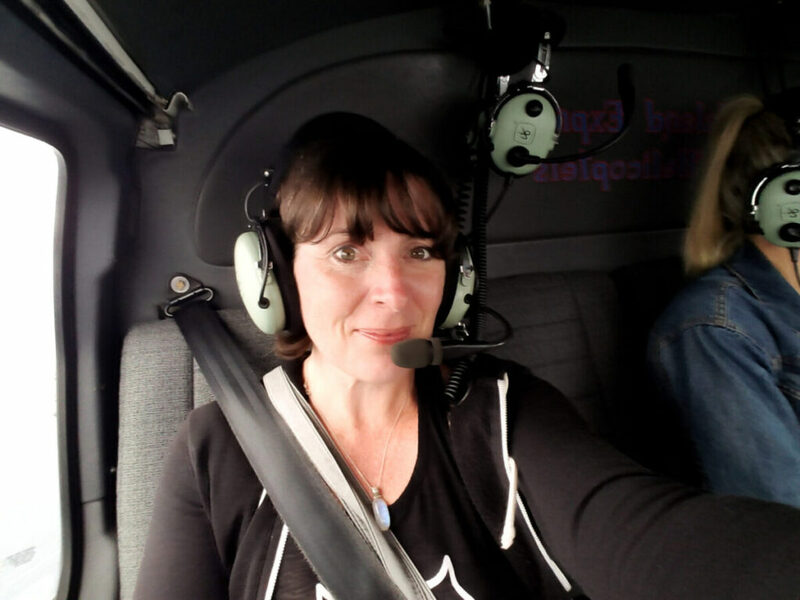 An alternative approach is hopping aboard a helicopter and viewing the seascape from above. IEX Helicopters whisks you from shore to shore in approximately 15 minutes, giving you a glimpse of sea life and a stunning preview of your final destination while eliminating the wait. 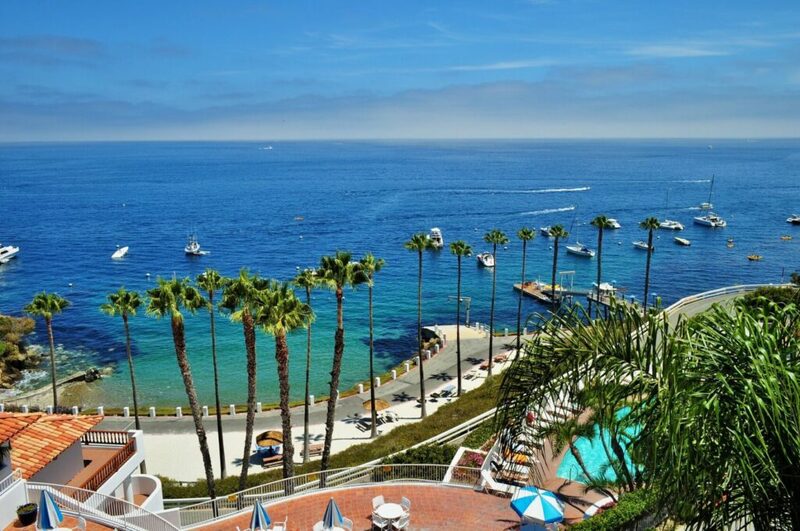 There are a variety of luxury hotels for your stay on Catalina Island. The Portofino Hotel and the Hotel Metropole offer visitors beautiful accommodations with plenty of amenities. The Hotel Metropole has suites with fireplaces, jacuzzi baths and balcony views. And you can enjoy soaking in their rooftop jacuzzi after a day of adventure. If you prefer a more personal touch to your island accommodations, the Old Turner Inn provides rooms that combine local elegance with the comfort of home. Their king and queen suites feature wrought-iron beds with luxurious linens, wood-burning fireplaces, and a separate living/sleeping area with a daybed. A stay at the Inn includes a home-cooked meal every morning and light appetizers with adult sips in the evening. Sure, Catalina’s white sandy beaches are perfect for a day of basking in the sun. But, this cool locale offers plenty for the adventure-seekers as well. Nothing brings friends closer than a little adrenaline-fueled fun, and a zip line tour is perfect for that. 88% of the island is protected by the Catalina Island Conservancy, which means the majority of it is undeveloped land. Take in the beauty of the natural landscape with a Catalina Island Zip Line Eco Tour. Catch a glimpse of a fox or bison as you soar above Descanso Canyon on a series of zip lines. Knowledgeable guides share the island’s history and cool facts about the natural inhabitants as you fly. The tour consists of five separate zip-lines and takes approximately two hours. You are guaranteed a nice dose of adrenaline while getting to know the island better. The Trans-Catalina Trail is just under 38 miles and traverses the length and breadth of the island. It gives hikers access to areas in the conservancy that few otherwise get to see. It’s an exceptional opportunity to explore the interior of the island. And, while it is a strenuous trek, it is well worth the effort, with scenic payoffs that include views of the ocean from towering bluffs and glimpses of the local wildlife. You don’t have to go it alone if you decide to attempt the end-to-end excursion. Catalina Backcountry provides naturalist-led Adventure Expeditions. This cool company employs two female naturalists: Linda Salo and Amanda Kenyon. They provide naturalist-led hikes that give you a chance to see an array of wildlife while learning everything you ever wanted to know about the area’s history, flora and fauna. You can hike a portion of the Trans-Catalina and only spend part of your day out on the trail, or you can book a multi-night adventure through Catalina Backcountry. They’ll even take you comfort-camping, providing all of the meals and amenities you need as you hike and camp your way across the island. Just imagine: Sleeping under a canopy of stars on this magical little island every night. We can think of worse ways to spend a girl’s weekend. Take the fun from land to sea. 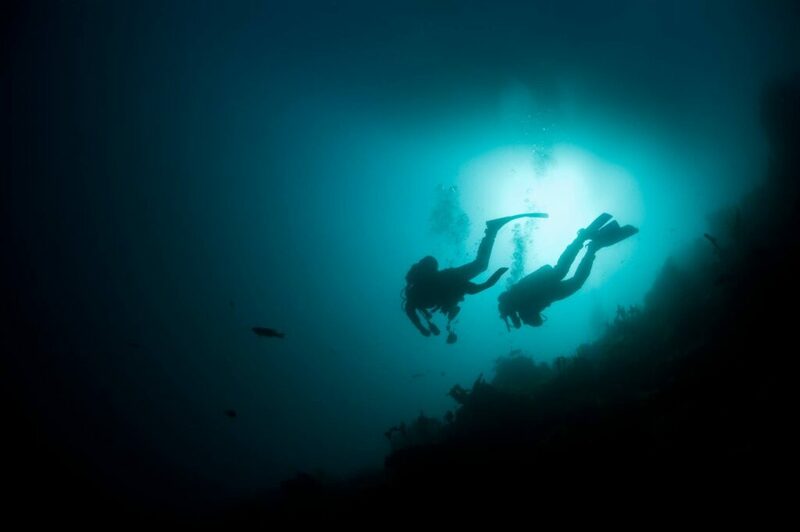 Sign up for an excursion with Catalina Divers Supply. Depending on your comfort level and interest, they offer snorkeling trips and scuba diving adventures. There’s even a snuba adventure, for those who are ready for more than a snorkeling but less than a deep dive. The guides suit you up, take you out in the water, and help you explore the submerged areas of the island. You encounter a plethora of beautiful sea creatures up close and in person and are guaranteed an unforgettable experience. When you take a break from your island adventures, enjoy a bite and sip at one of the local eateries. Your first stop should be the Descanso Beach Club where you can enjoy an oceanfront meal and cocktail. From street tacos to burgers they offer an array of menu items and signature cocktails that will please everyone in your crew. Enjoy a truly relaxing experience when you rent one of their fully furnished cabanas. Imagine relaxing on a chaise lounge and dining under an umbrella while being spoiled by food and beverage delivery service. Bliss! Other popular kick back dining options include the Catalina Island Brew House and the Lobster Trap, where you enjoy fast service and good eats. And a special experience can be had at the Avalon Grille, where patrons dine in a relaxed atmosphere that overlooks the Avalon Bay. The menu features American cuisine and regional dishes. Make sure to order the famous Wrigley Martini (or two)! And, if the weather is right, you can even dine al fresco! 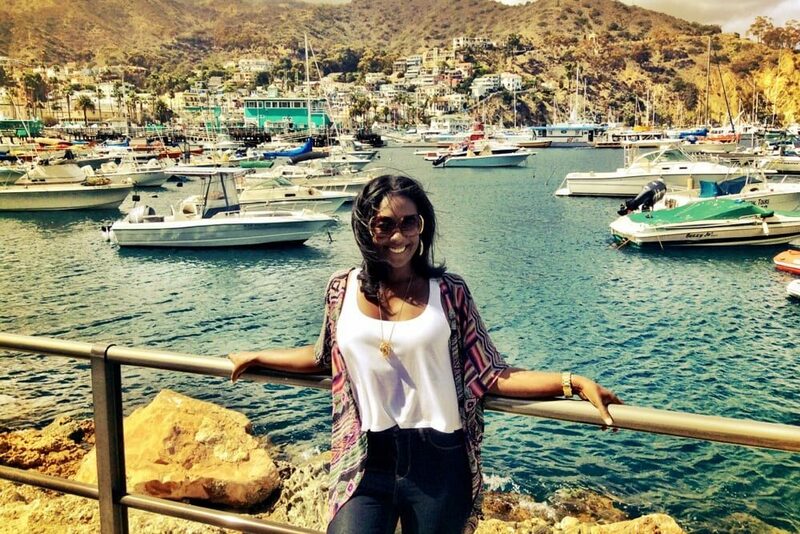 Catalina Island offers women who love adventure an incredible array of activities. Additionally, Catalina limits the number of vehicles allowed on the island, minimizing road noise so you can truly relax. You can spend your days touring the island by bike or golf cart instead. Brown’s Bikes rents a variety of bicycles to get around. You can even travel tandem or try an electric bike. If touring the island by golf cart sounds exciting, head to Catalina Island Golf Cart Rentals, where you can pick up a rig to get around on. A trip with the girls should be more than relaxing. Your time away with your friends should be an experience that deepens your connection and reaffirms your friendship. Why settle for a weekend at the spa when you can have a real island adventure? Catalina may be part of California, but you’ll return home feeling like you spent your vacation a world away.